Keiko, Kenzo and Eji are in the bustling city of Singapore to attend their cousin sister, Kiara's recital on Ancient Sea Trade. 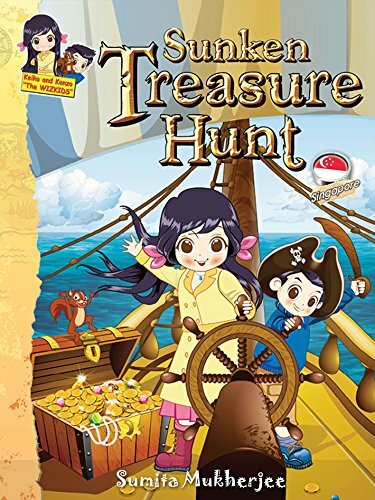 Keiko and Kiara discover a hidden note in an ancient urn, leading them on an ancient treasure hunt. Soon they realize evil treasure hunters are out to get them. Find out what happens in this race that takes place under the South China Sea. The book highlights the attractions of the city of Singapore. Facts on Maritime Silk Road, Singapore Flyer, Ancient Trade and famous shipwrecks in the world have been woven into the story so readers get a true sense of Singapore as they travel with our heroes in a dangerous undersea race for buried treasure.